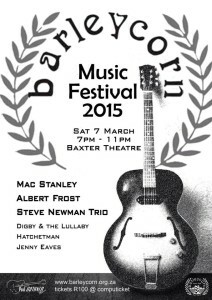 This Saturday, 7th March I am honored to be part of the line up for the 2015 Barleycorn Music Festival being held at the Baxter Theatre! 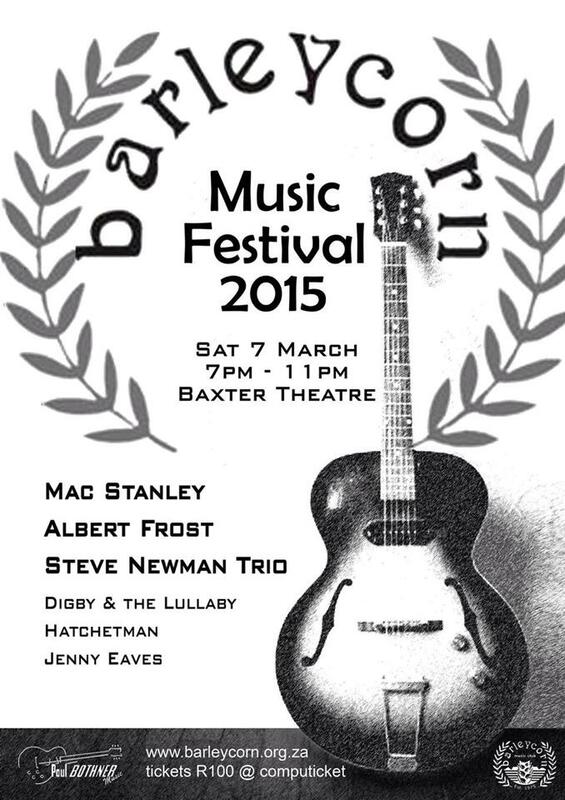 – if you’re a local music supporter, you’ve got to get to this one, 6 brilliant acts for only R100, PLUS a guest appearance by David Kramer! ⟵Welcome to Jennifer Eaves Music!